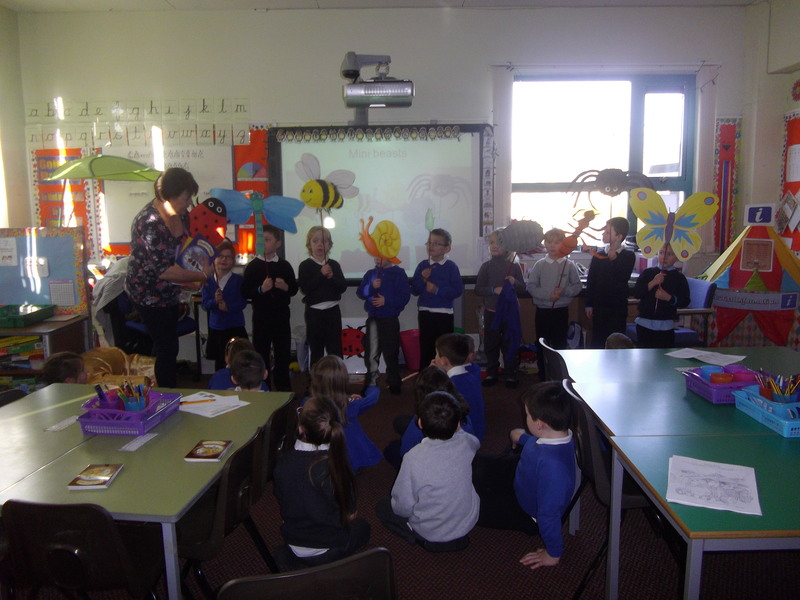 In Primary 2 we have been learning a jungle dance to the song ‘I like to move it’ from the film Madagascar. We have worked really hard to include lots of different moves. 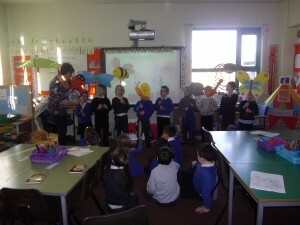 Can you spot all of the different elephants, monkeys, snakes and tigers? We hope you enjoy our dance as much as we enjoy performing it! 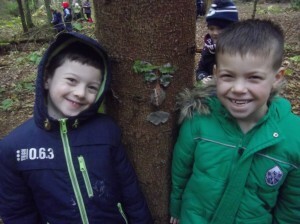 Great start back for P2! 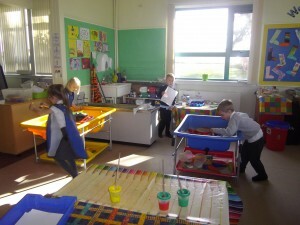 Primary 2 have had a super first week back. 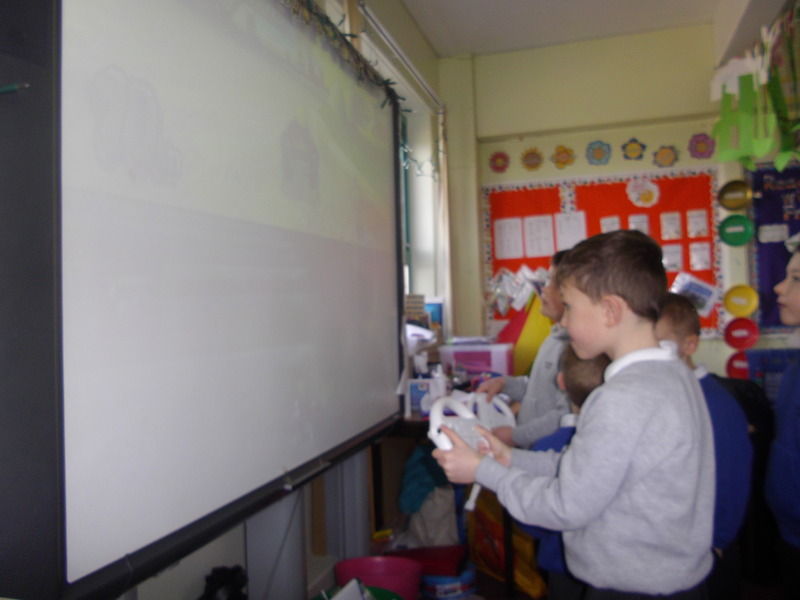 We all managed to stay on green and so got to play on the Wii during golden time. 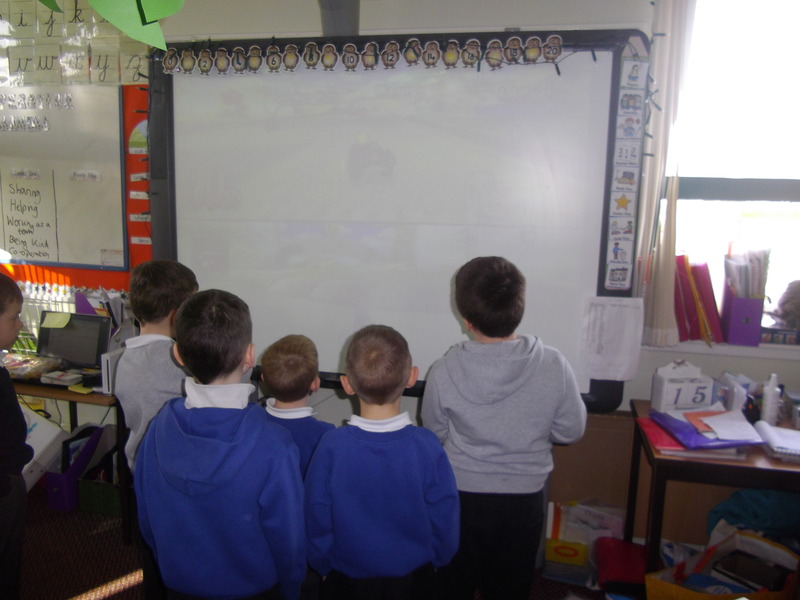 I think we definitely have some formula one drivers in the making! 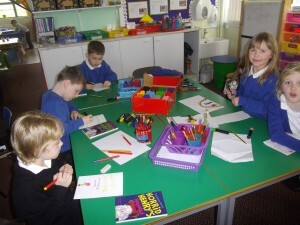 We also had fun doing other things during golden time such as playing in the open area and drawing some beautiful pictures. The tuckshop will run at break time from Tuesday 24th of February until Friday 6th of March. 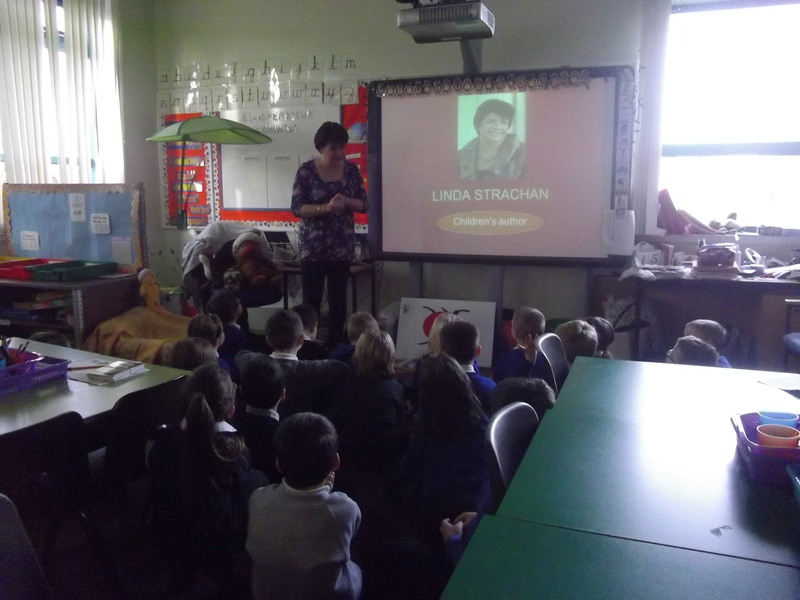 We were extremely lucky today to have a visit from Linda Strachan, the author of the Hamish McHaggis stories. 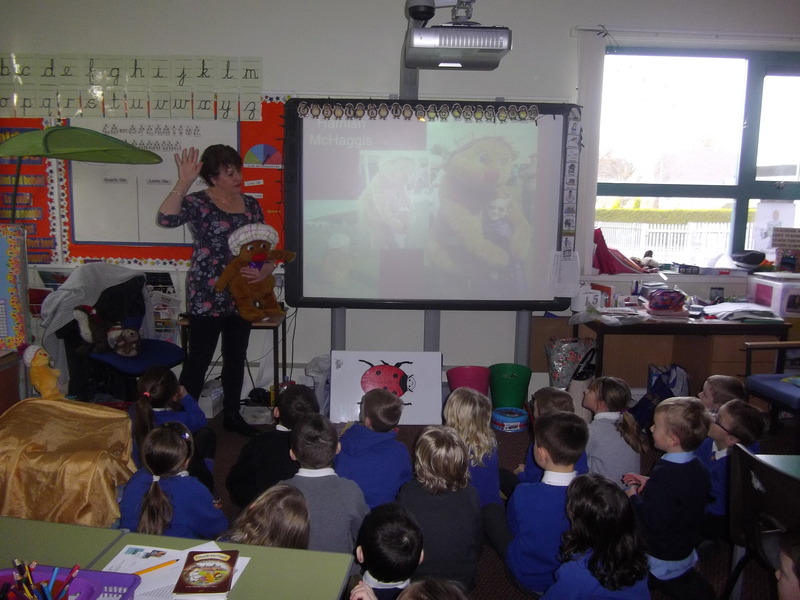 Hamish is helping us to learn about different places and landmarks in Scotland and it was so exciting to get to meet the person who created him. We learned all about Hamish and his friends, heard a new story and even learned how long it takes for an idea to turn into a published book….any guesses? In Primary 2 we have been working really hard during topic time learning all about China and the different traditions and culture there. 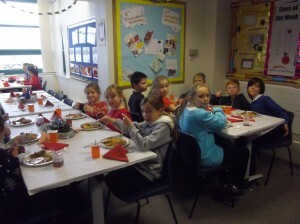 We now know all about the Chinese New Year story, we have made lanterns and we have even been learning some mandarin! Hello hello, how are you? 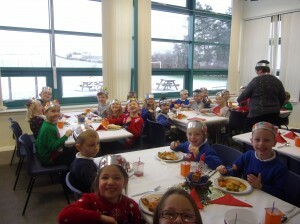 I’m great I’m great, thank you! 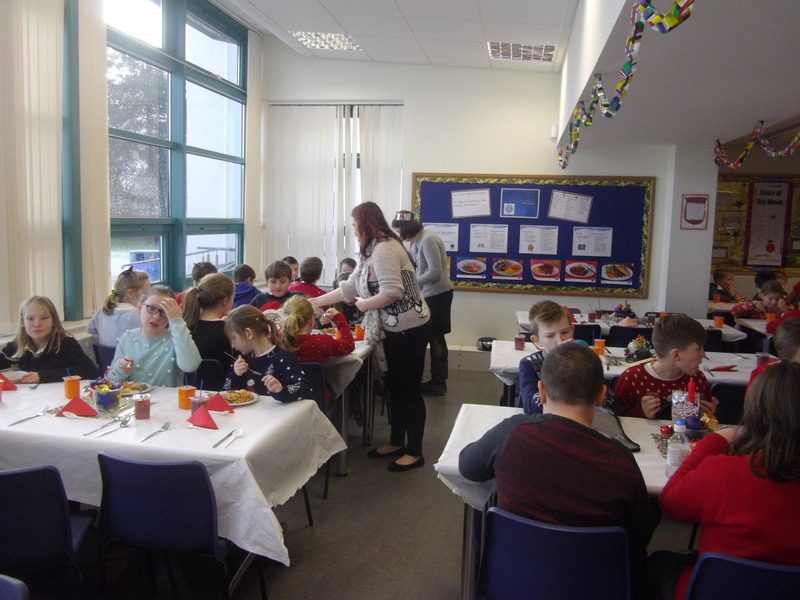 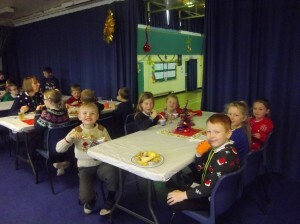 The whole school had a great time today having our Christmas lunch in our festive jumpers. 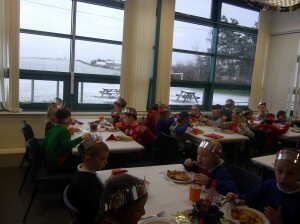 We even watched the snow falling as we had our soup and turkey! P2 did a great piece of writing today imagining what we would do if Santa got stuck in our chimney on Christmas Eve . 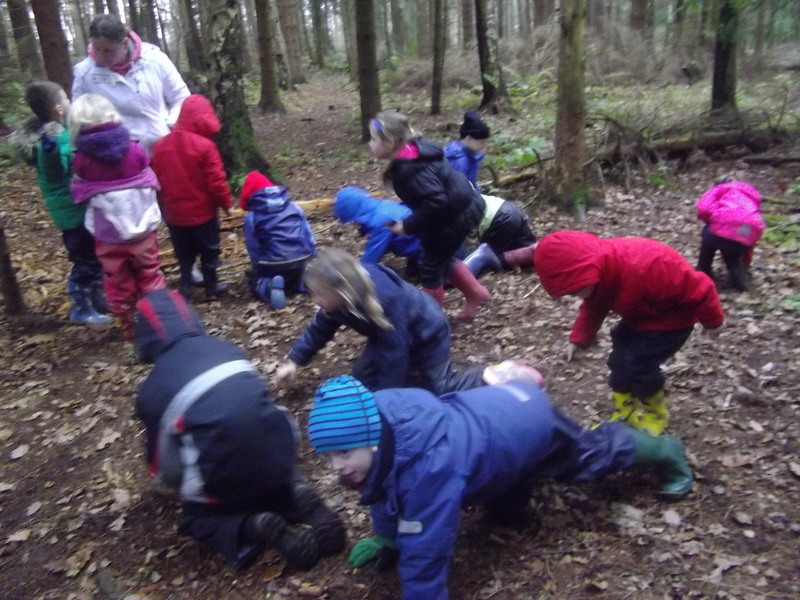 Belle decided that she would do a handstand to push Santa back up with her legs, Amelia thought that she would help him by delivering the rest of the presents and Daniel thought he would try to use his pets to help pull him out! 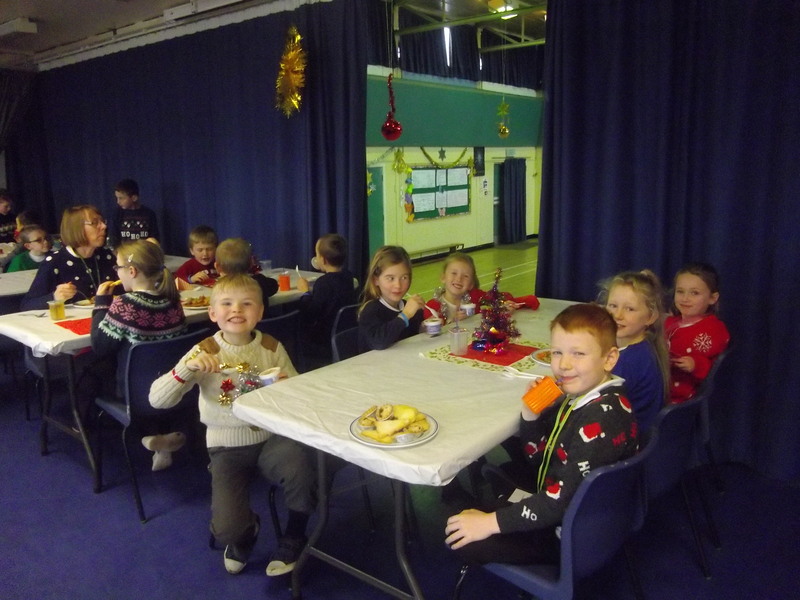 So don’t worry Santa…if you are reading this then feel free to have an extra mince pie on your way to our houses, we have some great ideas of how to save you if you do get stuck coming down our chimneys! 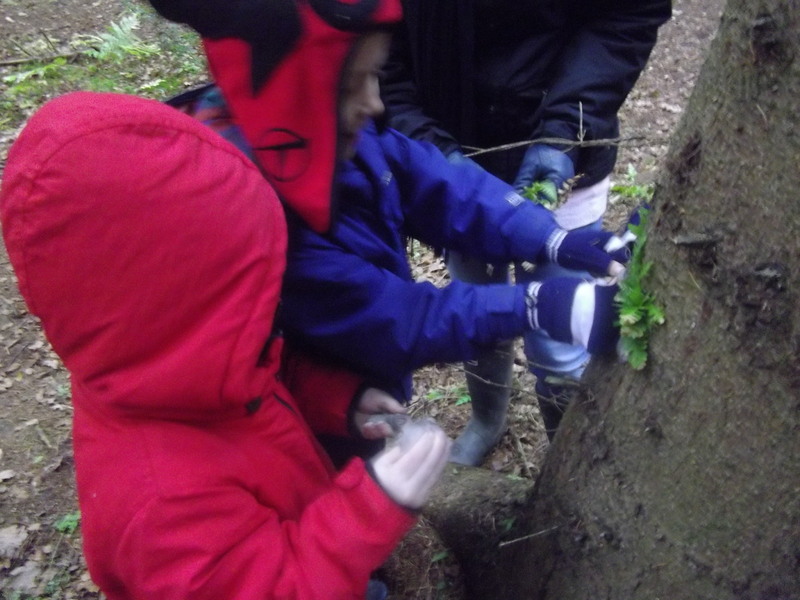 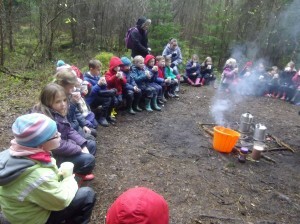 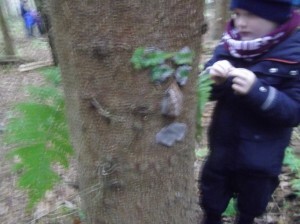 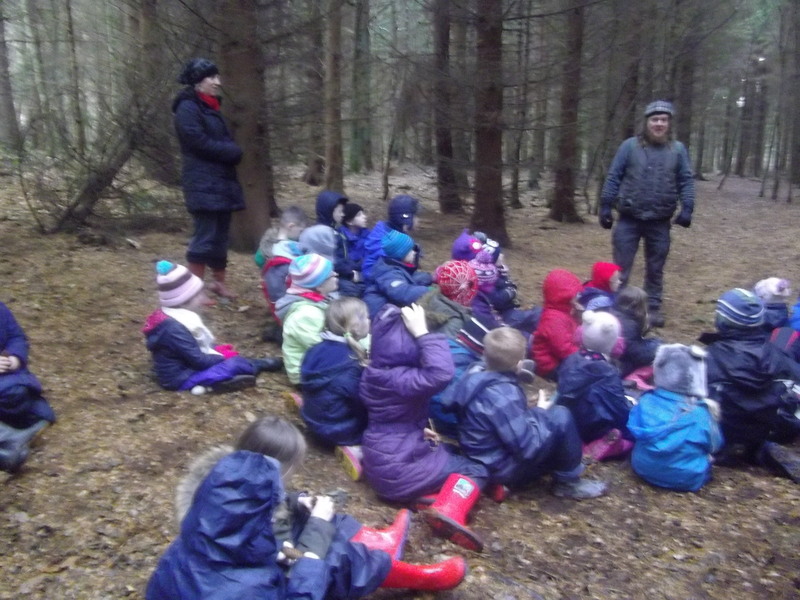 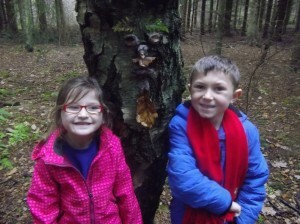 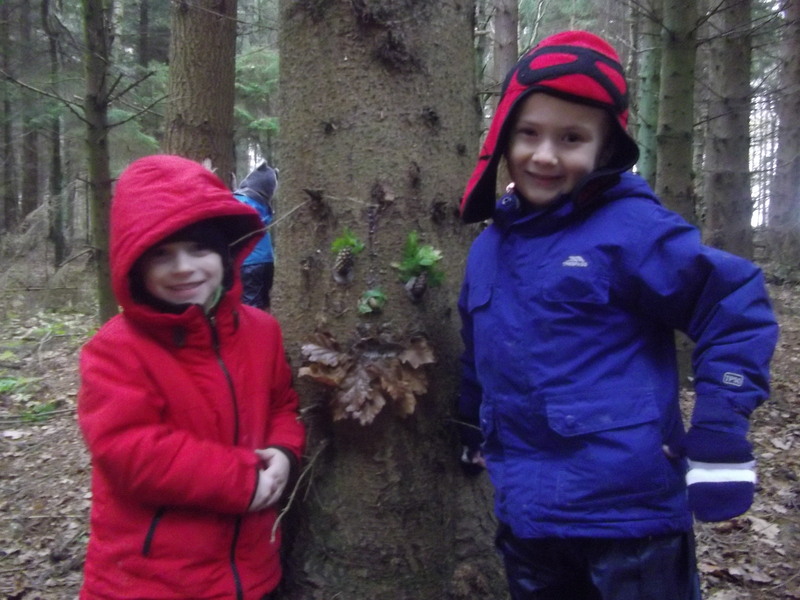 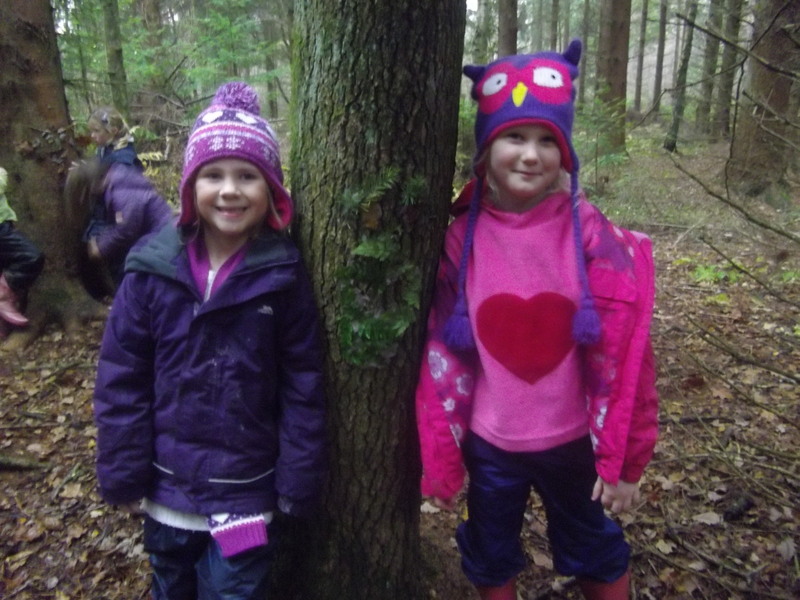 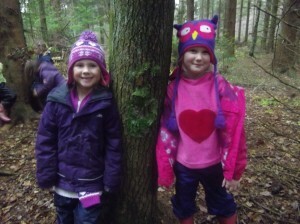 P2 and P3 had a fantastic time today exploring Butterdean Wood. Thanks to the Woodland Trust we had a very exciting afternoon, listening very carefully to a story about a big green giant and making our very own versions of the giant’s face using things that we found around us. 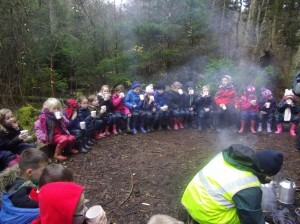 After all that hard work we settled down to a hot chocolate around the fire. What do you think of our pictures? Just a quick reminder that from today mathletics club will now run from 3.15pm until 4.00pm!